Now through the Labor Day weekend, more than 10,000 law enforcement agencies nationwide will be stepping up their efforts to nab drunk drivers and make DUI arrests. So be careful. Will continue through the Labor Day holiday weekend. Drunk driving is a deadly and preventable crime that destroys lives and costs the nation billions of dollars every year… with the help of law enforcement around the country, we are going to continue doing all that we can to stop drunk driving and the needless tragedies that result from this reckless behavior. DUI accidents reportedly result in about one death every 51 minutes in the U.S.
More than 10,000 people die in drunk driving accidents each year in the U.S.
About 35 percent of the fatalities caused by DUI accidents affect people other than the drunk drivers (e.g., other motorists, passengers in vehicles, pedestrians, etc.). DUI accidents have about $47 billion in direct economic impacts annually. The bottom line is that all drivers should be especially careful as they drive for the next few weeks. 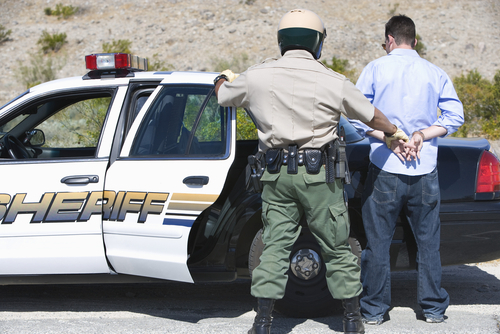 If you are unfortunately targeted and arrested for DUI, you should immediately start building your defense by contacting trusted Denver Area DUI Defense Lawyer Christopher Griffin. Being charged with DUI can be both scary and stressful, as a conviction could cost you your reputation, your career, your family and even your freedom. If you or your loved one has been arrested for and/or formally charged with drunk driving, Christopher Griffin wants you to know that he is ready to immediately start providing you with the strongest possible defense against police and prosecutors – both outside and inside of the courtroom.